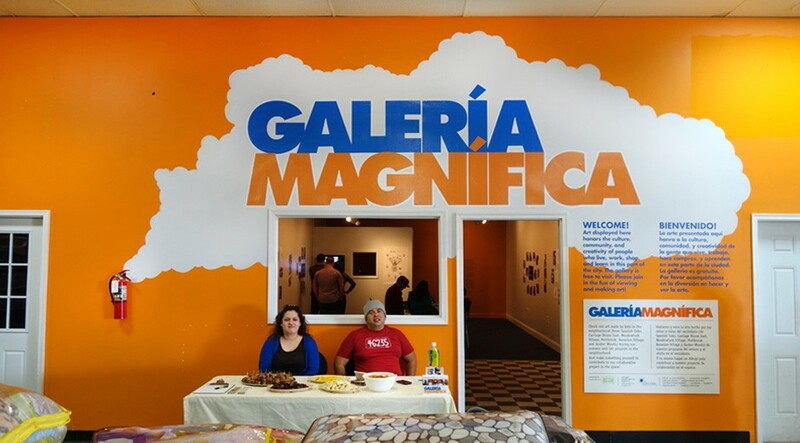 In 2014 we experimented with blending art and community on the Far Eastside, opening Galería Magnífica inside Superior Market and Taquería at 3702 N. Mitthoefer Rd. The gallery was open during all of the supermarket’s regular hours and hosted free classes and events for the public. 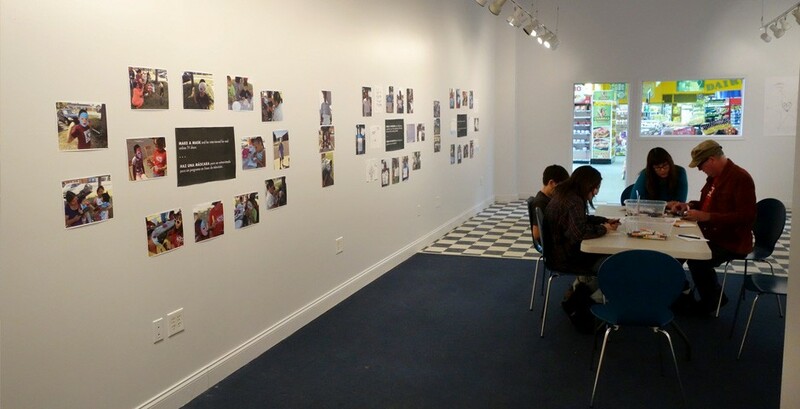 The work in the first exhibit there featured collaborative art created by young people who participated in Fun Fleet, Big Car’s partnership with the Indianapolis Public Library. Fun Fleet brought both the library’s Bookmobile and Big Car teaching artists who worked with kids at apartment complexes each week in the Far Eastside area. The gallery’s focus was on art connected to the culture, community, and creativity of the people on the Far Eastside. Check out coverage in the Indianapolis Star and Sky Blue Window, and a video of the transformation of the space. Galería Magnífica was one component of a Big Car’s effort to boost the Far Eastside (zip code 46235) with creativity and placemaking efforts. Supporters of the 46235 Project included The Glick Fund, Steve & Livia Russell, Ursula David, Green BEAN Delivery, Georgetown Market, Hamilton Exhibits, Howard L. Schrott, Diana Mutz, & Charles Stanton.